1960s: solar flare flashes near tip of spaceship. eclipse of the sun as takes place from space. 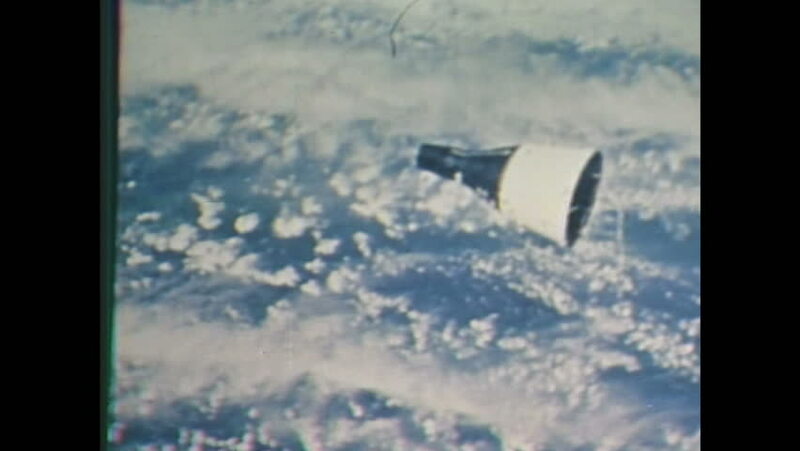 Gemini XII capsule orbits the planet Earth over clouds and oceans. 4k00:271930s: People in front on stone building. Man walks into building, woman and girl walk away from building. Woman and girl sit on rock. Mountain. 4k00:251950s: Ocean next to hotel. Boat in ocean. Man wears Kenilworth t-shirt. Man smiles. Man and woman sitting at bench by hotel pool, stand up. 4k00:301940s: Train tracks from back of train that moves. Train goes by next to corn field. It stops next to field, steam comes out from locomotive, man with hat and glasses looks around. 4k00:211940s: Mount Rushmore. Mountain and valley. Wooden sign. hd00:10The structural remains of an old abandoned incomplete building structure. Wide angle view.